How do you know if you just had a migraine vs headache? We're going to look at 6 features that will help you tell the difference, so you won't get caught out again. The term headache seems to be used generically for any type of head pain. 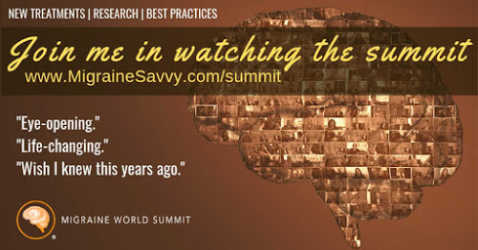 I think we all know that a migraine is NOT just a headache, but we dismiss it. Much of society still doesn't understand the horrific pain levels associated with migraines... but it's classified as a headache. So that's where the confusion begins. The National Headache Foundation says that over 45 million Americans suffer from chronic recurring headaches and 28 million of these suffer from migraines. They distinguish between the two. Commonly headaches may occur suddenly due to a cold, infection, tension, stress or illness. 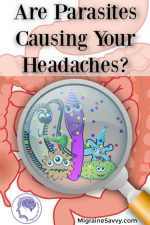 Sinus headaches are common due to infection. 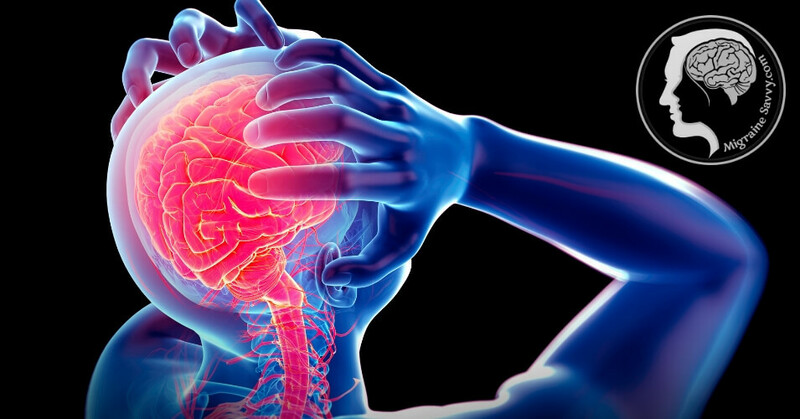 Headaches can occur more seriously as a result of a head injury but they are rarely the sign that something worse is at play. Research also supports that headaches are rarely a sign of a more serious medical condition. This does not mean that they are not horrible to deal with. The bottom line for me, is that a headache is just not as intense nor is it debilitating or soul destroying like a migraine attack. 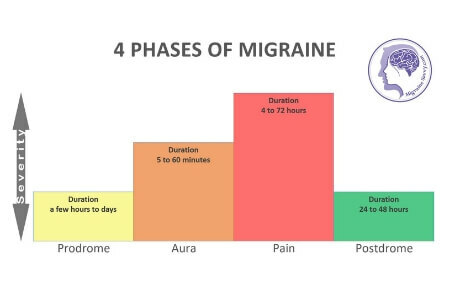 One migraine can take me out of action for up to 10 days at a time. I am in indescribable pain and unable to function normally. AND... it's accompanied by a host of other symptoms. Headaches are not normally. Plus - you rarely have just one migraine. In most cases, it is a lifelong condition. 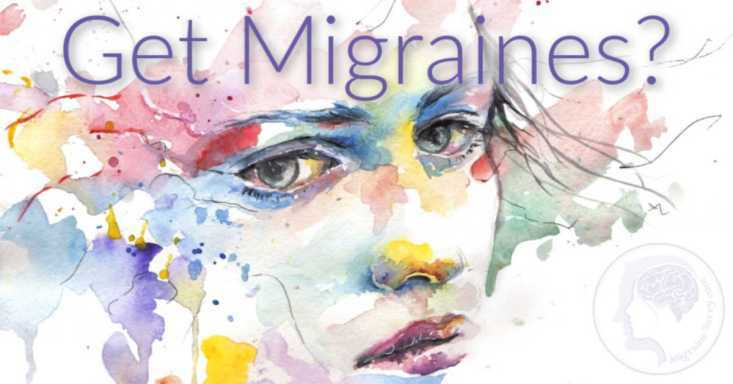 The use of migraine as a generic term for headache has led to a huge misunderstanding of just how debilitating the migraine condition can be. 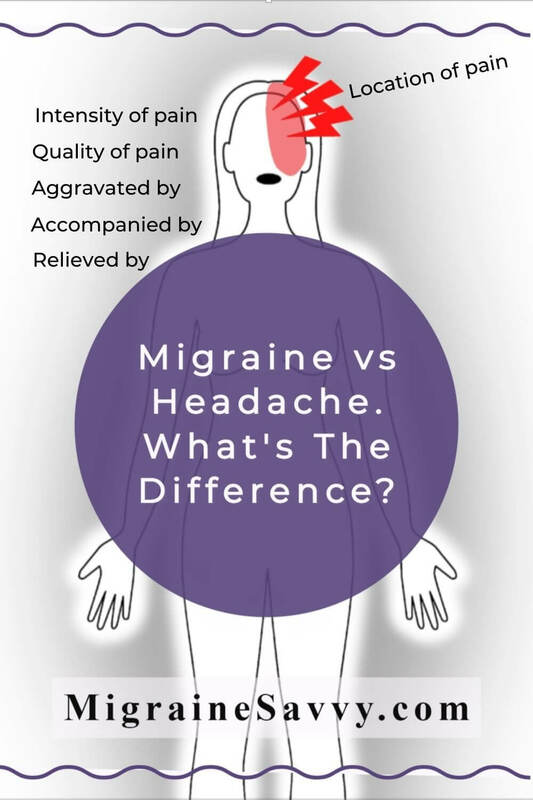 It can be hard to tell if you have a migraine vs headache. Headaches, like migraines have triggers. Stress and pressure from work and family commitments, skipping meals, lack of sleep, rebound headaches from over use of medications, can cause tension and depression. Eyestrain from over use of the computer, or neck and back strain due to poor posture may also contribute to headaches. And alcohol! You can get some mighty hangover headaches from drinking too much, accompanied by vomiting and dehydration. I might be giving myself away here, but I sure had some doozies. All similar symptoms, but not really the same intensity of pain levels or duration. And different medications are required in order to be effective. Different medications are required to treat each one effectively. I think some of the confusion comes from the headache classifications. There are 150 types of headache categories established and migraine headache is just one of them. 1. Tension Headache – these can occur randomly or daily where muscle tension causes mild to moderate pain and possibly constant pain. 2. Migraine Headache – the pain is moderate to severe and can last from four hours to three days. Regular occurrence one to four times per month. Symptoms are listed below. 3. Sinus Headache – constant pain in the cheeks beneath the eyes, forehead and across the nose. The pain usually intensifies with movement. Nasal discharge, fever, pressure around the eyes, facial swelling (eyes), and plugged ears are common symptoms of sinus headaches. Pain can be moderate to severe. 4. 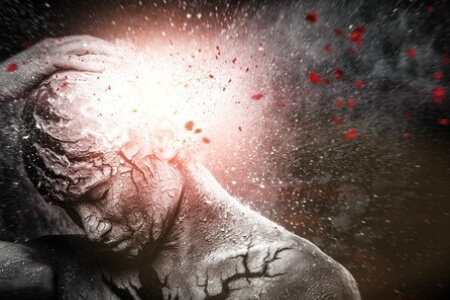 Cluster Headache – refers to a regular grouping of attacks occurring several times a day. An attack may last two weeks to three months and then completely disappear for months or years, only to recur years later for a similar pattern of several times a day for two weeks, etc. They have a burning or piercing quality that is constant and intense. Cluster headaches are excruciating - the pain is severe. Pain is located behind one eye or in the eye region, it is often one sided. It is common to pace during an attack as sufferers may be unable to sit still. Regardless of what type of headache you feel you might have, it’s best to get to your doctor with any head pain and let them check it out thoroughly. Once you are diagnosed you can start with the treatment that is right for you. 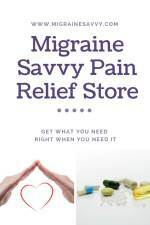 The treatment is completely different for migraine vs headache, especially in the medications department. Headache tablets will not work on migraines. Simple! Migraines are a complex neurological medical condition where a trigger, or triggers, cause a chain of reactions in our body. 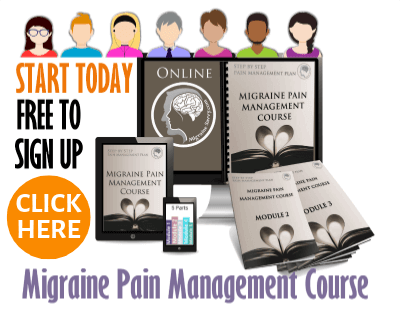 A migraine headache is a complicated and complex neurological medical condition that needs proper medical attention and medications to find pain relief. 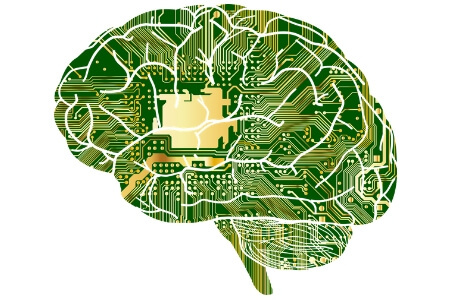 It disrupts normal functioning and can destroy lives. A normal headache can be dealt with using aspirin or over-the-counter (OTC) pain killers and is a minor distraction. Triggers and causes are different. Briefly, a migraine can start with any trigger, or any accumulation of a number of triggers. 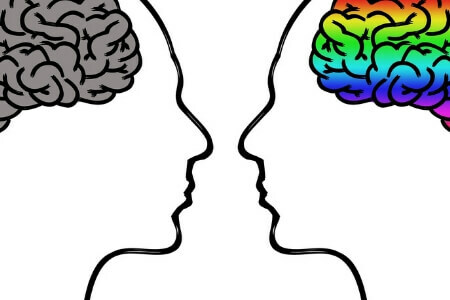 Then comes the excitation often called a “nerve storm” or cortical depression that spreads slowly across the layers in the brain. OUCH! This over activity then causes brain chemicals to be unstable and dilate. 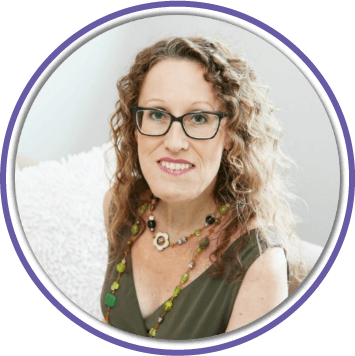 This change in blood flow causes a constriction and dilation of arteries, thus overstimulating the brain … and the pain is sent back to the brain stem and whamo. You get the often one sided excruciating pain in your head. I've written all about that here - What are Migraines From? Here are a few more things to help you identify if you have a migraine vs headache. Mild to moderate to severe. Has a pulsating quality, throbbing. Distracting but not debilitating, more like a steady ache. Can be constant. However, sometimes can affect both sides. Behind one eye or ear. Both sides of head. Forehead, scalp and temples. Like a vice grip is around your head, or your hat is too tight. Exertion and movement, and any trigger and most tasks. Nausea, dizziness, vomiting, sensitivities to light. sound and smells. Flashing lights, blind spots, or vision impairment. So I hope this clearly shows the migraine vs headache differences. And that you have a clearer understanding of what to watch for. 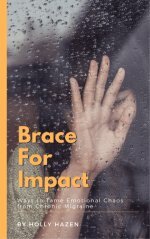 The features: intensity, quality, location of pain, and more importantly the accompanying symptoms of a migraine attack. And the necessity for using the right medications to abort and manage the life-long condition. A headache will pass. It is normally temporary and treatable with over the counter pain killers you can buy anywhere. You can take aspirin and it should go away!